Podcasts, oh glorious podcasts. I am a big fan of podcasts and find myself reaching for them more and more as a relaxing break in my day. Emily and I share a couple of podcasts that entertain us while driving. It’s a great way to sharpen those listening skills, gain insight and avoid groaning over bad radio (though we do love Sirius XM’s Kids Place Live). Recently, a new podcast has made its way into our rotation. 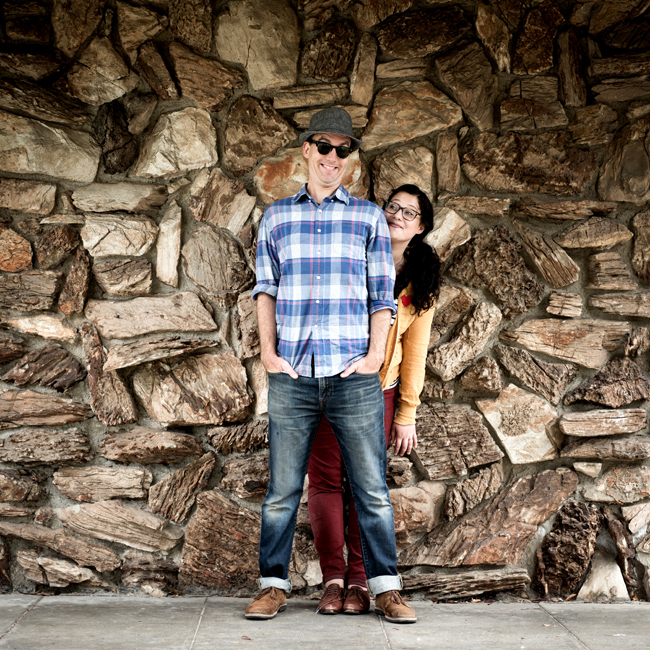 Ear Snacks is a new podcast by an L.A.-based husband and wife duo. Andrew Barkan and Polly Hall (of Andrew & Polly, of course) have recently launched an interactive audio series which, as they express, is for kids by kids. and they also feature special kid guests. They even go to a farmer’s market! In general, the episodes feel personal in the sense that the podcast is crafted in a way that makes the listener feel as though they are included in the experience, which is Andrew & Polly’s general mantra when it comes to performing live. Ear Snacks is best for kids up to age 7, and at age 6 1/2 Emily was engaged. Some of the recorded children sound as though they are younger which may or may not appeal to older kids, but altogether the content can sustain broader appeal. You can enjoy listening to some songs from the Hats episode below and be sure to catch Episodes 1 and 2 of Ear Snacks on Sirius XM’s Kids Place Live (ch. 78), or through various digital sources such as iTunes, Stitcher, SoundCloud – Fruit and SoundCloud – Hats and tunein. Wanna participate? Just go to Andrew & Polly’s official site and send them a voice message, or you can send them an email and have your kid(s) interviewed on the show! Andrew & Polly’s music has appeared on Nickelodeon and they are the honored recipients of the ASCAP Foundation Joe Raposo Children’s Music Award for their song ‘When You’re A Dog’ from their debut children’s album, Up and At ‘Em! The duo will be releasing a new album called Odds and Ends on September 25, 2015. Without signposts and clues to meaning, the brain shuts down. With help along the way, the brain can do amazing things as it learns to organize and acquire language. 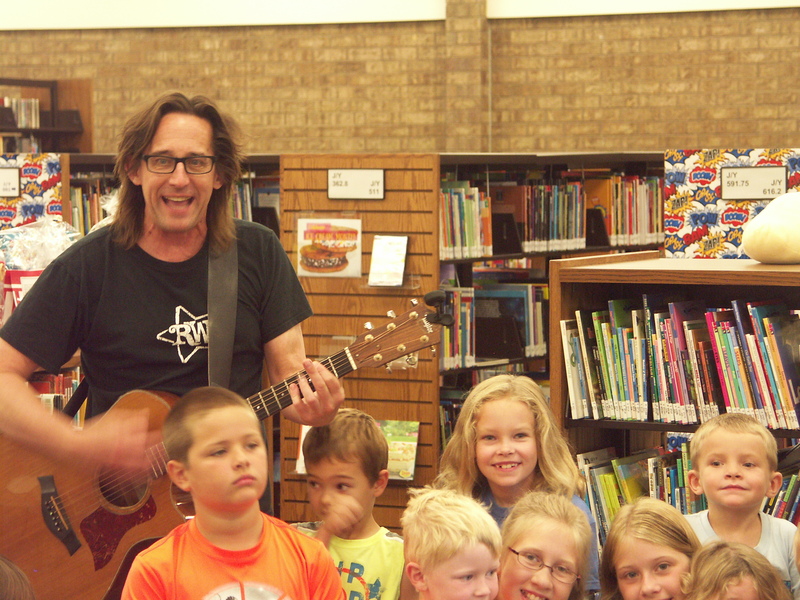 Music and literacy are two of my favorite topics, and today I am proud to feature a new video and interview by a Grammy nominated Kindie rock veteran who just released an album that reinforces the link between the two. A new Illinois Reading Ambassador, Ralph Covert of Ralph’s World has been rockin’ kids’ (and parents’) worlds for over 10 years. Throughout his career, he has produced 10 original records, authored 4 children’s books (he is currently working on his first chapter book!) and has been featured on Disney TV. 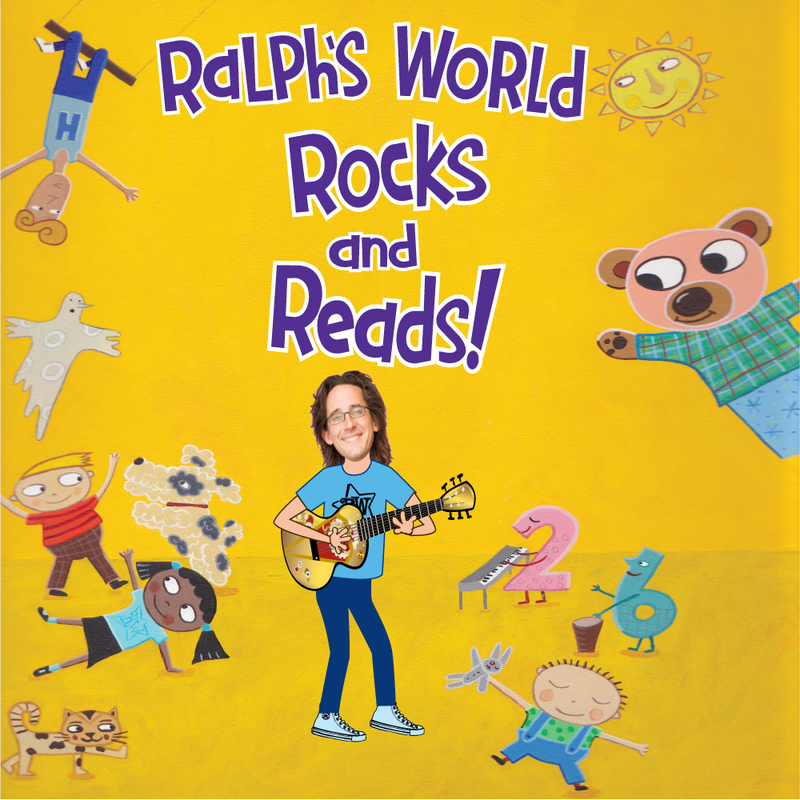 While so much of Ralph’s World’s material has an educational component, his latest release, Ralph’s World Rocks and Reads!, focuses on literacy. Specifically, the significant role rhythm and music plays in the development of language and skills that lead to a child’s ability to read. Our family first learned about Ralph’s World while listening to his rendition of “The Ants Go Marching” on the Old Town School of Folk Music compilation, Songs for Wiggleworms, and proceeded to completely wear out his first record, Ralph’s World, among many others. The following video premiere for “Follow the Leader and Dance” offers kids an opportunity to get their bodies moving while they are learning. In true Ralph’s World fashion, it’s fun! Be sure to read on for some insightful thoughts Ralph shares about the role music plays in the development of language, how literacy is integrated into Ralph’s World Rocks and Reads!, and how his son inspired the creation of the album’s special packaging. You can find Ralph’s World Rocks and Reads! through the Ralph’s World store. KCG: What was your inspiration for this album? RC: I’ve always been a big believer in how music can help earlier readers. I was very excited when the Ralph’s World Rocks book came out, because I saw how it could help kids who loved Ralph’s World songs bridge the gap to decoding the written word since they would know the songs already by heart. The Ralph’s World Rocks & Reads! CD was the fulfillment of that vision — those songs, plus all the others embodied in books based on my songs, all gathered together for the benefit of the kids and their parents with a specific focus on helping parents work with their young readers. KCG: Have you always factored literacy into your creative/songwriting process? RC: I have incorporated literacy in my songs, but usually in an oblique manner. I’ve always been a fan of what I term “subversive learning,” that is, lessons that are masked by the fun. “Tickle The Tiger” off the very first Ralph’s World album is based on alliteration, and we published lessons plans about how to capitalize on the song in the classroom, for example. “The Rhyming Circus” utilizes many different acrobatic uses of rhyme. Is it fun? Is it silly? Is it poetically informative? Yes, on all counts, but, more importantly, can you dance and sing along? Absolutely, and so the lessons follow subconsciously. KCG: How do you feel music aids in literacy? RC: In many ways. Familiarity with the words one is reading (whether from knowing a song, having heard the words read out loud many times, or anticipating them because of meter and rhyme) all help earlier readers more easily decode the written word. I know from my own experience learning foreign languages that without signposts and clues to meaning, the brain shuts down. With help along the way, the brain can do amazing things as it learns to organize and acquire language. KCG: Does rhythm factor into aiding children’s ability to pick up on language, i.e. the beat sets the pace for example? RC: Yes, also even more importantly, the ability to understand the rhythms in music aids in the ability to decipher where one word ends and the next begins. That is a fundamental building block of rhythm in language. KCG: You have written picture books. Does that creative process differ from your songwriting process? RC: It is very different. Songs are much more driven by the constraints of the melody and the song structure. Picture books are constrained by the what can be communicated conceptually within the images contained on a given page, and even more by the need to condense the written word to the most precise words needed to tell the story. An early reader (and their adult companion reading a given book) are not well served by too many words cluttering the page and slowing down the experience of reading a book. “Quick, clean, and clear” are the essential guide words for the writer of a picture book. KCG: What were some of your early learning experiences with regard to reading and music? RC: I was a passionate reader and a passionate lover of music from as early as I remember. That said, I have no memory of my pre-school experiences with either. Somehow, whatever my parents provided must have worked! Given the era, I’m sure it was far more happenstance and random than the opportunities forced upon children today. Kids are resilient, so I’m sure they’ll survive anything — even Ralph’s World! KCG: What are some ways for parents to enjoy music with their children while reinforcing literacy/reading? RC: Read, read, read! Sing, sing, sing! Dance, dance, dance! If your kids see you’re having fun and engaging with them, they’ll crave more. So… have fun with it! Don’t read boring books, read fun books. Share it and celebrate it! One of the things I’m most proud about with Ralph’s World is that the parents seem to love it as much as the kids do — that’s awesome, because it means the parents are modeling fun. How cool is that? Well… cooler than cool. The end becomes the means. Victory in parenthood! Ba-ba-ba-ba-ba-dum-dum-da! Victory march!! (Am I getting carried away here?) I can’t emphasize this enough. KCG: The style of “Follow the Leader” is call-and-response. How does this format lend itself to learning, language development and literacy? RC: Call and response is a primal musical form. It’s fundamental to the communication that music inspires. Learning is all about response and repetition, both of which help lay the groundwork for language development and literacy. (That being said, let’s be honest — that song is about dancing and having fun! And who are we kidding?! 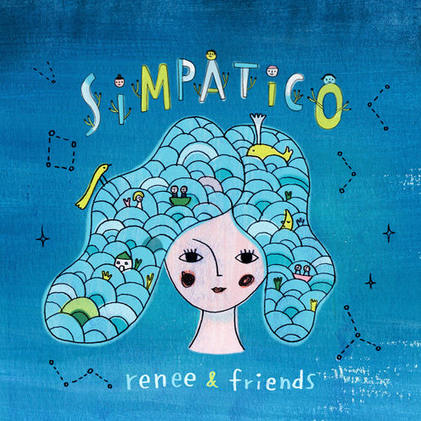 The real purpose behind the song is that it has the hidden message that it’s okay to be shy, but that by reaching out and participating you can find friends and have fun. But who’s keeping score here, anyway?) No, really, it helps reading, too!!! KCG: Can you share some experiences you’ve had with your own children with regard to music and literacy? RC: In our household, music is everywhere, so it’s hard to pick specific examples of what has influenced what. One specific experience definitely shaped the Ralph’s World Rocks & Reads CD — when Rita created the original prototype of the Do The Math book that is included in the CD packaging, our 6-year-old, Jude, read and re-read it until he had literally destroyed that first copy from overuse! He was familiar with the song, and as a result was very proud of how well he was able to read the book. He also loved doing all the math problems included later in the story. His positive reaction to the book confirmed our initial idea that including it would be a unique and positive addition to the CD, and also gave Rita the idea of binding it in with the CD packaging so that hopefully parents would have a sturdier and more book-like book that would last longer than the prototype! Also, we really enjoyed the meta-humor that a CD collection of songs which had been included in books was in and of itself designed not only to look like a book, but to include an actual book inside. KCG: What was your inspiration for the production of this video? KCG: Do you have any updates on your TV pilot Time Machine Guitar? While we have not yet secured a network home for the show, we are continuing to pursue options both for creating a first season of full length episodes as well as exploring short form variations that can allow us to develop an audience and create the show independently. The entire first season has been written, and all of the puppets have been created and built. It will be an exciting journey either way, and we hope to have at least some short form pieces to share in 2016. It’s getting HOT which means we are finding ways to creatively enjoy our time inside while the blistering heated blanket of summer covers the outside world. After our game ended, and we continued to listen to Sea Blue Sea, my brain exploded with a bunch of ideas about how we could extend our sea exploration. I love when spontaneous creative combustion happens. Below are some activities we have been enjoying. I invite you to join us and share some of the adventures and activities you’ve been enjoying. 1. YouTube: Sea Blue Sea, as I mentioned above, covers a wide array of sea life. Get to know more of them by finding some YouTube videos. The “Coral Reef,” “Manatee” and “Anglerfish” have spawned the most curiosity. In particular, what an aquatic biome is, why the Anglerfish “carries” a light around (“From the right angle, a luminescent rod dangles like a pale lantern deep in the fog.”) Manatees are marine mammals (“We’re just gentle mammals just lookin’ to munch some grass”), and once we learned that, we got into a discussion about what mammals are, identifying other mammals we know like ourselves, and what being endangered means. It’s also cute to call them “sea cows” for some reason (“We kinda look like cows with no legs”). 2. Practice reading and dig into marine science with downloadable lyrics for songs from Sea Blue Sea. 3. Go to an aquarium and do a scavenger hunt to see how many creatures or sea plants you can find that also appear in the songs from Sea Blue Sea or work with whatever comes to mind. 4. While at the aquarium, observe the animals and take photos of them (where applicable – some exhibits prohibit flash photography) or bring drawing paper and sketch some of your favorites together. Visit the “petting” area if there is one. 5. This should really be number one, but play Go Fish with pictures of sea animals or make your own cards. 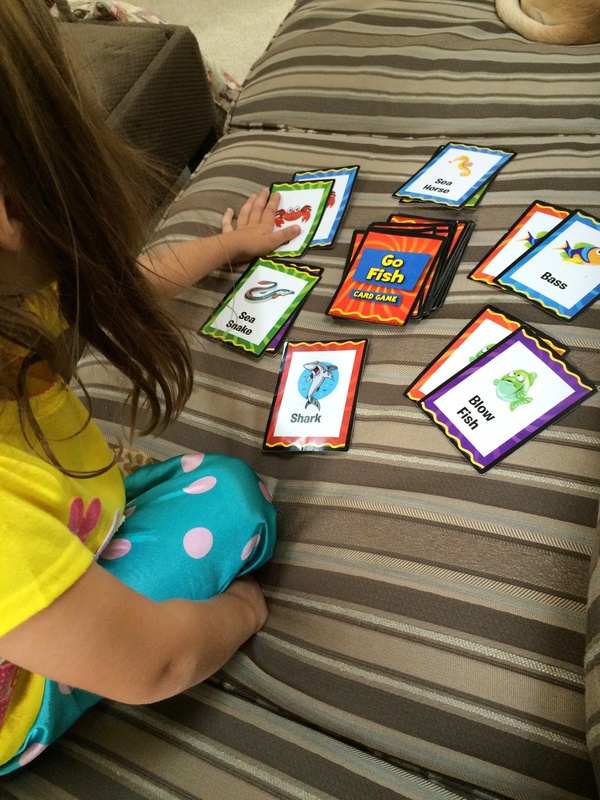 There are many templates online, and for little ones you can make it a fun matching game as well with different colored fish or numbered fish. 6. If you are up for an outdoor adventure, head to the water (either the beach or the bay or both!). If you have tide pools close to you, go visit a tide pool! We are lucky enough to live close to cool coastal beaches bustling with life. There is something so mesmerizing about seeing a violet sea urchin, touching a sea anemone or a starfish “in the wild.” Even watching the otherworldly grace of jellyfish is a meditative practice in and of itself. There may also be local organizations that you can explore with. A local SF Bay organization called Tree Frog Treks takes families and kids on exciting oceanic excursions. These trips are led by knowledgeable instructors who are experts in finding all kinds of creatures. On our trip, one instructor found an octopus and got inked! Marni Fylling recently published a book called Fylling’s Illustrated Guide to Pacific Coast Tide Pools. It’s a fascinating book with great illustrations and easy to read facts for kids. 7. Check in with a marine science center/institute and see if there are any activities you can sign up for. Our local Marine Science Institute offers fishing excursions out to the bay, bay cleanup days, and even summer camps.